Some garden relationships just don't work out. 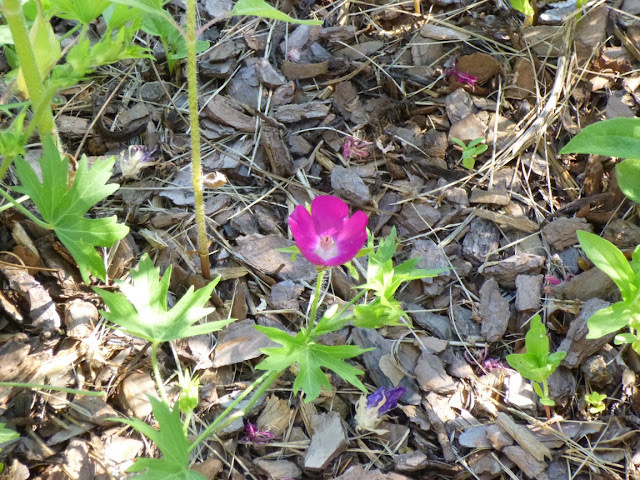 1) Callirhoe bushii, Bush's Poppy Mallow - Supposed to have a long bloom season and attract lots of bees and other pollinators. Instead it had a short bloom season and I never saw a single pollinator on a C. bushii flower. 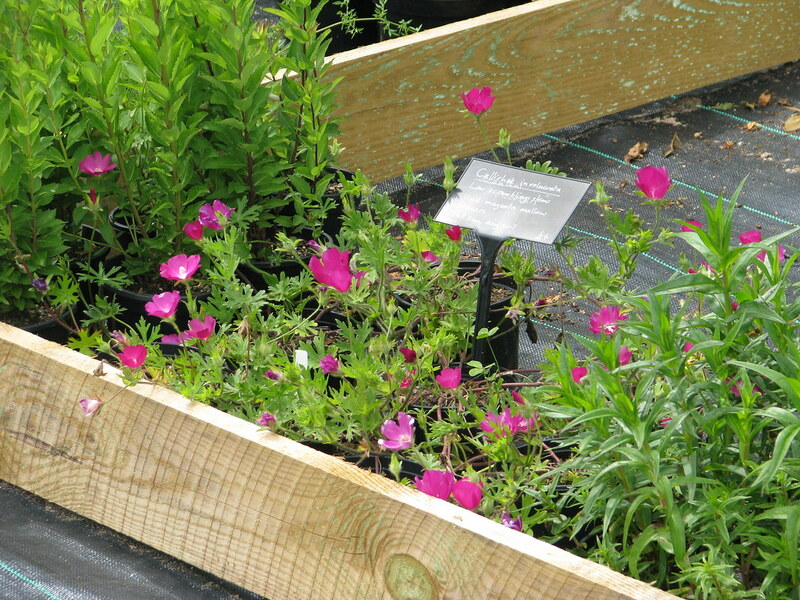 2) Callirhoe involucrata, Wine Cups, Poppy Mallow - Tried growing this from seed by sowing directly in the garden. Failed. 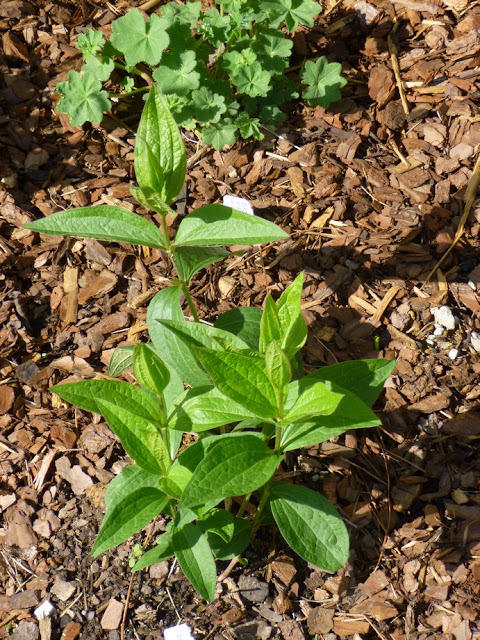 3) Calycanthus floridus, Carolina Allspice, Sweetshrub - Planted in spring 2012 in partial shade. 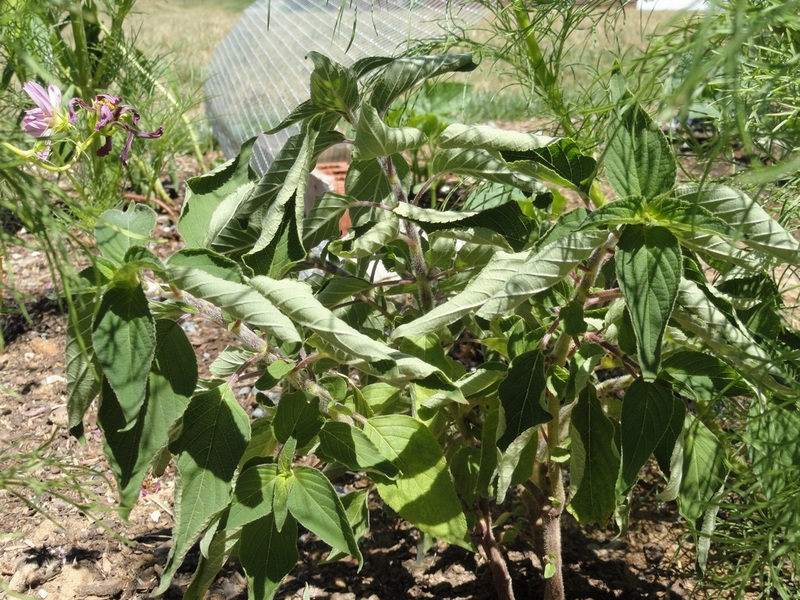 This plant struggled through the dreadful drought and heat of the 2012 summer. Somehow when picking this plant, I missed the fact that it prefers moist soils. When it had not shown any signs of life by early April 2013, I gave it the heave-ho. The photo I was going to share of this plant is so hideous that to post it would be to dishonor the dead. But if you must see the train wreck, you can check it out in this late 2012 post. 4) Caryopteris, Blue Mist Spiraea - Chosen for its reported drought tolerance and ability to attract bees and butterflies over a long bloom season (supposedly July to September). In reality, Caryopteris did not leaf out until mid April and did not start blooming until mid-August. The sparse blooms did attract some bees, but I never saw a butterfly on the plant. I've since read that Caryopteris performs best with a hard pruning in the spring, so I'll give that a shot this year and see if it makes any difference. I may also try transplanting it to a slightly sunnier location to see if that induces more flowers. 5) Ceratostigma plumbaginoides, Leadwort, Hardy Blue Plumbago - In 2012, several of these plants performed admirably through the record heat. 2013? Not so good. The plumbago in full sun looked sickly all year and pretty much pooped out early. Maybe it was negatively impacted by the roots of a large sunflower growing nearby? I won't be surprised if it doesn't return next year. 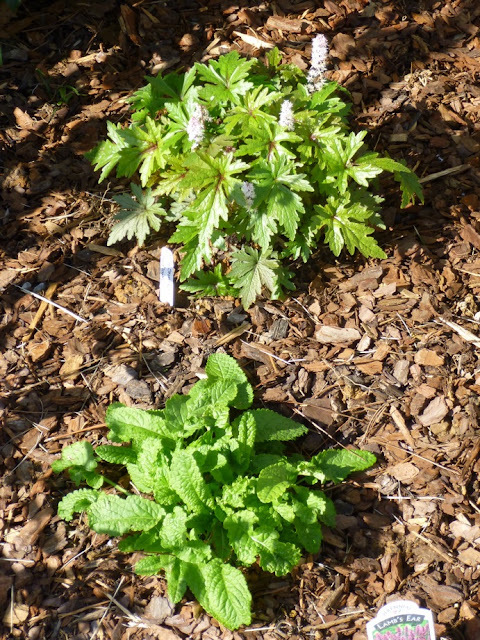 The leadworts growing in partial shade (morning sun, afternoon shade) performed better, but they didn't start putting on new growth until mid-April. 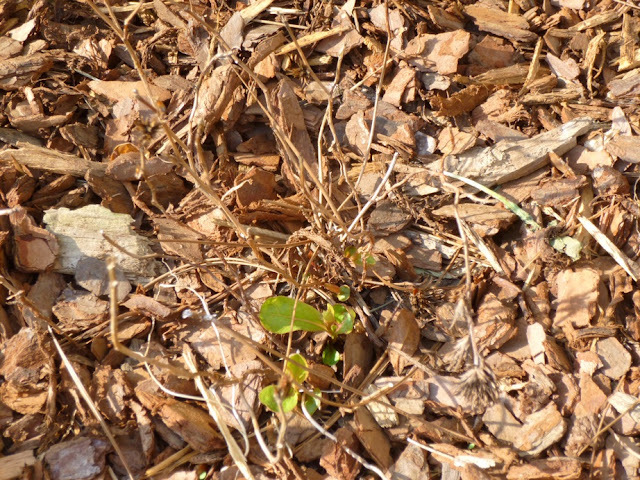 Since the plants drop their leaves by late-November, we're looking at nearly five months of bare stems, which isn't appealing on a specimen plant, and certainly is not desirable on a large-scale groundcover. The blue flowers are pretty in late summer and early autumn, but they don't seem to draw many pollinators. Under the right circumstances, the leaves can attain a rich red coloring before they fall. I don't think I'll rip out my plumbago, at least not quite yet, but neither am I eager to add any more to garden. 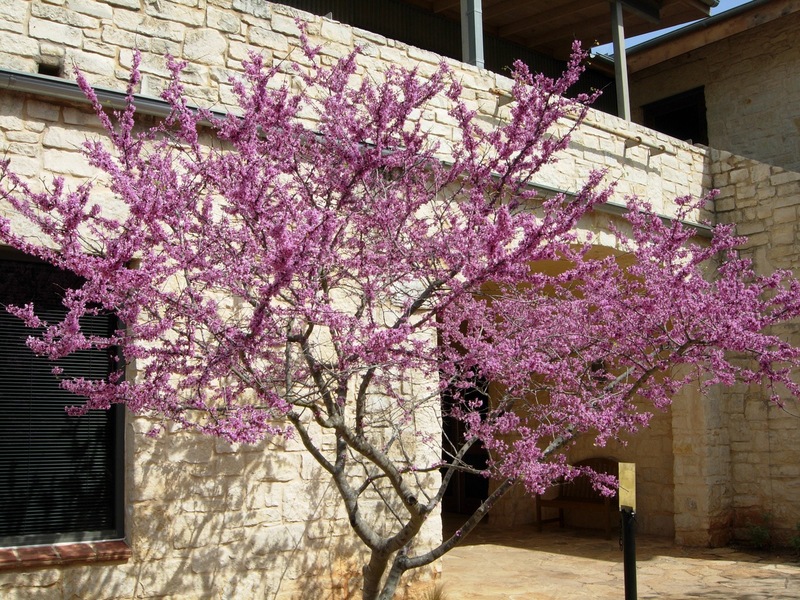 7) Cercis canadensis, Redbud - I'm going to go out on a limb here and criticize the Redbud (not to be confused with Citizen Kane's beloved Rosebud). Yes, it's native to Tennessee (and much of the Southeast, Mid-Atlantic and Midwest). Yes, it looks lovely for about one week in the springtime when it is covered with flowers. Yes, the bees go crazy for it - although just over a few days. But it is reportedly short-lived (typically 20-25 years acording to various sources), reportedly weak-wooded and susceptible to damage from snow, ice and wind. In sheltered understories, the leaves probably look quite nice. 8) Clematis integrifolia - I admire this plant, but I wouldn't necessarily recommend planting it or add any more of it to my garden. It is tough and reblooms throughout the summer, but I'm not a fan of the lax, sprawling growth habit or the downturned flowers. Nor have I ever seen any pollinators visiting those flowers. I can appreciate its strong points, but Clematis integrifolia and I just aren't meant for each other. 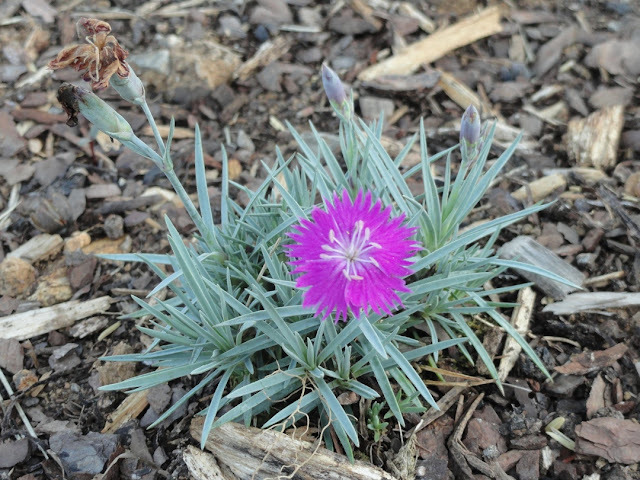 9) Dianthus gratianopolitanus "Firewitch" - Hardy to zone 3, but tough enough to make a full sun perennial / groundcover in Middle Tennessee. So what's the problem here? I admit I'm probably being persnickety, but I find the persistent stems terribly unappealing and I don't know how to remove them. Also, despite the fact that Firewitch is supposed to be appealing to bees, I've never yet seen a bee on a dianthus flower. Some sources say that Firewitch flower petals are edible. I've tried them occasionally and lived to tell about it. While they may make an attractive garnish, they have zero appeal for my palate. 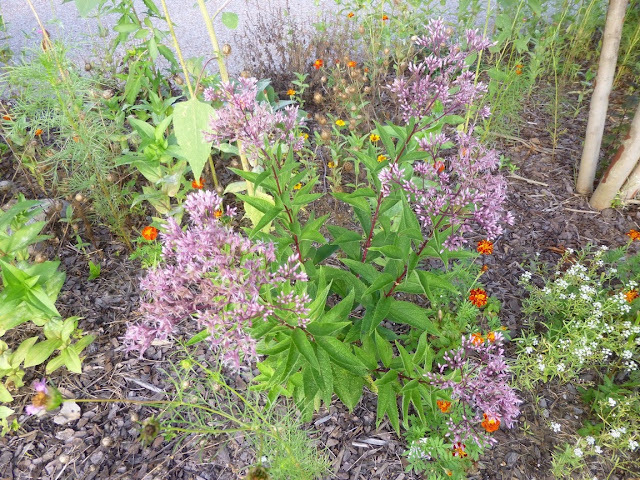 10) Eupatorium dubium, Dwarf Joe Pye Weed - Purchased for its reported ability to attract butterflies. I did not see any butterflies on the plant all summer, although a few small bees did visit the flowers. It didn't seem all that happy in full sun even though the summer was neither particularly hot nor dry by Tennessee standards. Not impressed from an aesthetic standpoint. 11) Galium odoratum, Sweet Woodruff - How the mighty have fallen. After a torrid love affair with this plant, the romance cooled toward the end of last summer. One patch that got morning sun and afternoon shade petered away to nothing. The main patch (in a morning sun, afternoon shade setting) suffered some ugly dieback that I believe could have been fungal. Despite the fact that it's rated as hardy to zone 4, this winter has given Sweet Woodruff severe freezer burn. I can accept a plant that doesn't look its best in winter (such as Ajuga or Creeping Raspberry), but I can't see the logic in keeping a plant that looks dreadful year-round. I will say that the tiny white flowers have a pleasant vanilla fragrance when dried, but that's not enough for me to keep or recommend Sweet Woodruff as a groundcover any longer. 12) Gardenia jasminoides - I was hooked when I caught a whiff of gardenia on a garden tour. I don't know what secrets that gardener had for keeping his or her bushes lush and healthy, because my "Jubilation" gardenia has struggled pretty much ever since I planted it in late 2012. It made it through 2013 and even produced a few sweetly-scented blooms, but it's been downhill ever since. 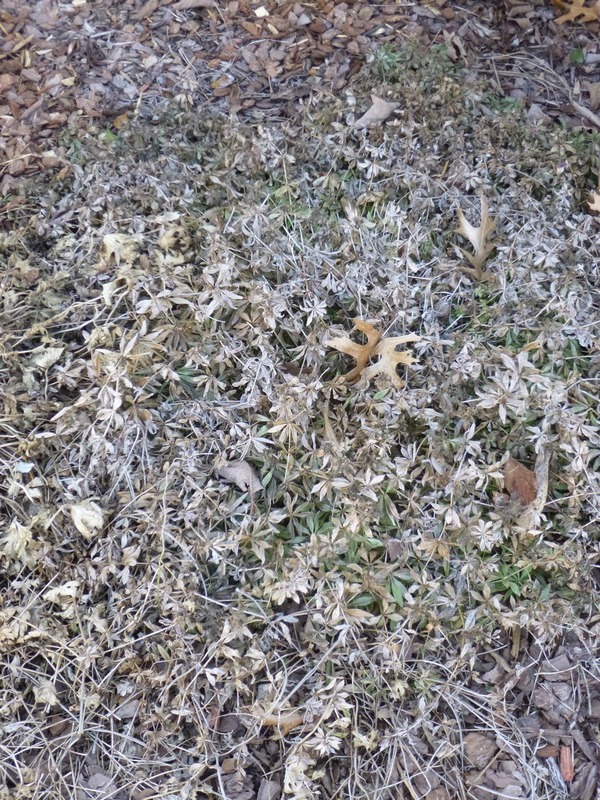 The near-zero temperatures this winter have blackened many of the remaining leaves. Missouri Botanical Garden calls gardenias high maintenance and warns they are susceptible to numerous diseases and pests. There is a very funny, very long archived thread on the Gardenweb forum that reveals how gardenias drive many gardeners bonkers. I still love the scent of gardenia -- I'll just be seeking it out in someone else's garden. (Incidentally, while some gardeners report their gardenias surviving negative Fahrenheit temperatures, it's also the case that gardenias seems susceptible to major damage from late spring freezes.) In any case, I like tough and trouble-free plants, and gardenias don't exactly seem to fit that bill. 13) Geranium maculatum - Native to the Southeast, reported to have great fall color and to be somewhat evergreen, my G. maculatum gave up the ghost within months of being planted. I have good luck with other geraniums, but maculatum and I clearly were not meant for each other. 14) Hemerocallis, Daylily - OK, if the gardening community isn't coming for me yet with pitchforks over my criticism of the Redbud, this may soon have them storming the parapets. But I'll say it anyway -- I'm just not a fan of daylilies. The plants look awful in winter. The flowers are pretty, but they typically only last a single day, and the dead flowers and persistent scapes are a pain to remove. 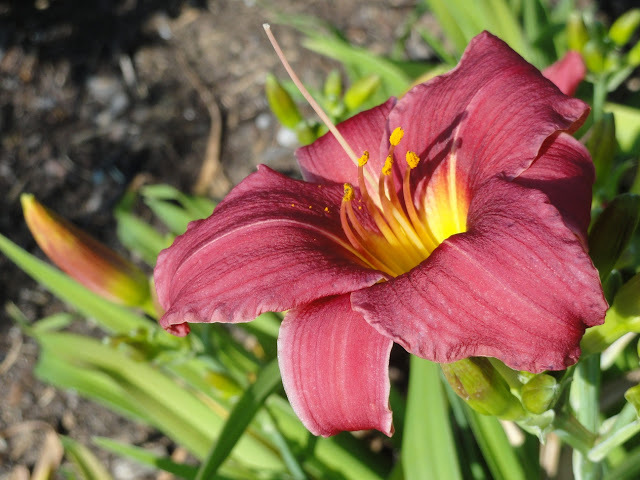 Daylilies don't seem to attract bees, butterflies or other beneficials, but they do attract plenty of aphids. (The only good thing about that is that the aphids in turn attract ladybugs and other predators.) 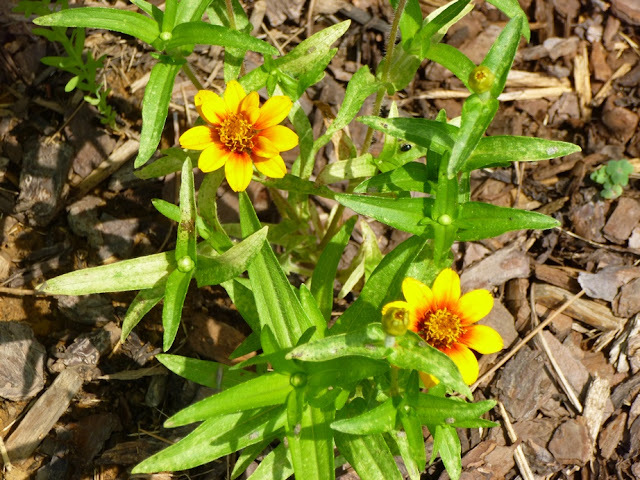 I'll admit that they're fairly tough and even drought tolerant, although my personal experience indicates that daylilies will stop flowering and suffer serious foliage damage unless given supplemental water in drought conditions. Daylilies aren't dreadful. I'm not planning on shovel-pruning the ones in my garden, but I do think they are far over-used and over-hyped. There, I said it. 15) Hexastylis arifolia, Heartleaf Ginger - I really wanted this to work out. An ornamental (non-edible) ginger native to Tennessee and throughout the Southeast, I thought this might make a nice evergreen groundcover. The plant I received via mail order was pathetically small and it struggled from the get-go. (My mail order experiences last year have really pushed me toward buying local in 2014.) The plant never had more than one leaf throughout the growing season and it ultimately disappeared sometime in the autumn. I'm keeping my finger's crossed that it could make a reappearance this spring, but I'm not holding my breath. 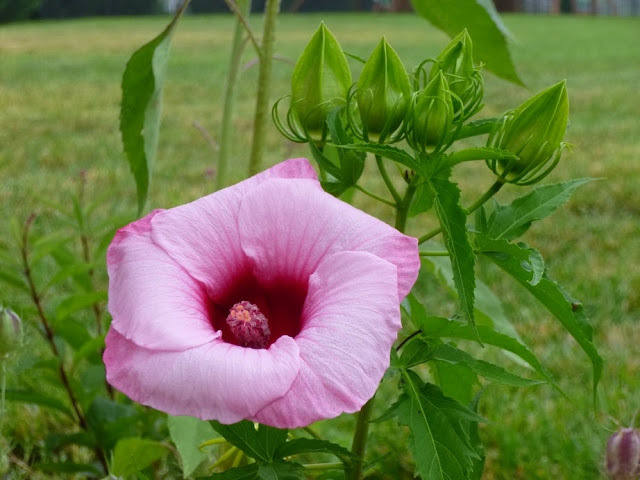 16) Hibiscus moscheutos, Hardy Hibiscus - The flowers are beautiful, and the plant is tough enough to survive Tennessee droughts (with a bit of supplemental water). So what's the problem? The flowers are very short-lived. 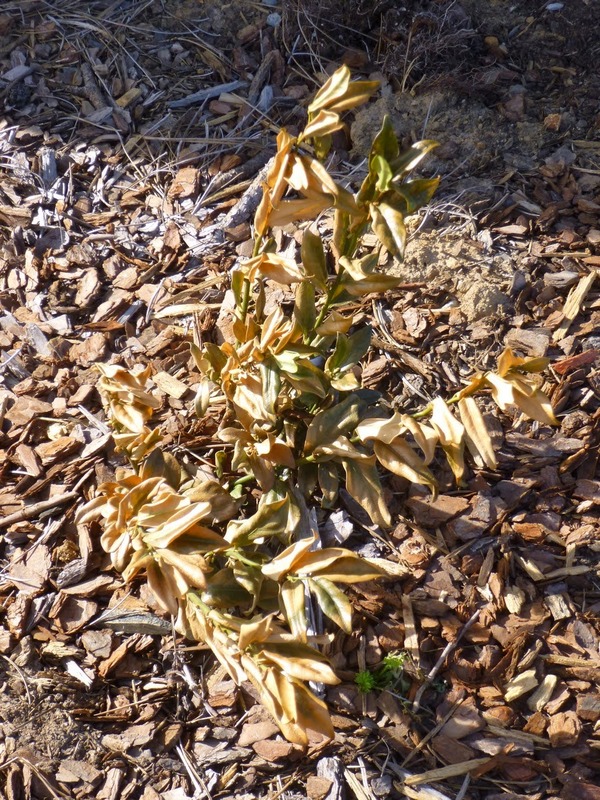 The plant is slow to emerge from dormancy in spring (late April in 2013). Hardy Hibiscus flowers are supposed to attract hummingbirds and butterflies, but I've never seen either one visiting the flowers. Hibiscus moscheutos is also very susceptible to the hibiscus sawfly, which tatters the foliage and frequently leads to frustrating levels of bud drop before the flowers even open. So what's a zone 6/7 hibiscus lover to do? Hibiscus coccineus (a.k.a. Swamp Hibiscus or Texas Star) is supposed to be at least moderately resistant to the sawfly, so that's a plant that I'll probably try to trial in my garden in the near future. 17) Kolkwitzia amabilis, Beauty Bush "Dream Catcher" - Looks nice in the online photos. In reality? Ugly foliage. Zero flowers. I guess no one would buy it if they called it "Ugly Bush"? And that, my friends, is why there will rarely be truth in advertising. 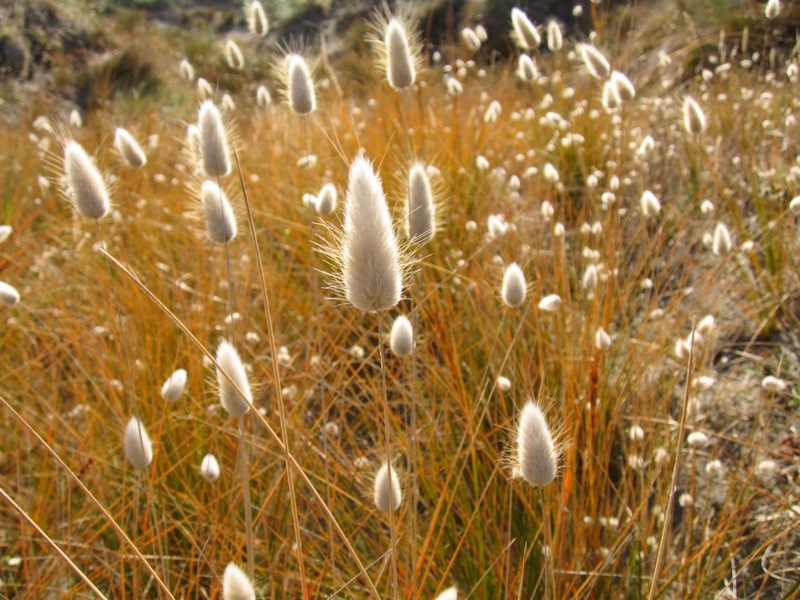 18) Lagurus ovatus, Bunny Tails - Mea culpa. I did a lousy job raising this from seed and transplanting it. It's also true that my heavy clay soil is the diametric opposite of the sandy soil that L. ovatus reportedly prefers. That said, I was underwhelmed with the size and vigor of this plant. Sigh. 19) Lobularia maritima, Sweet Alyssum - Well, here's another 2-3 year love affair that has crashed on the rocks of reality. 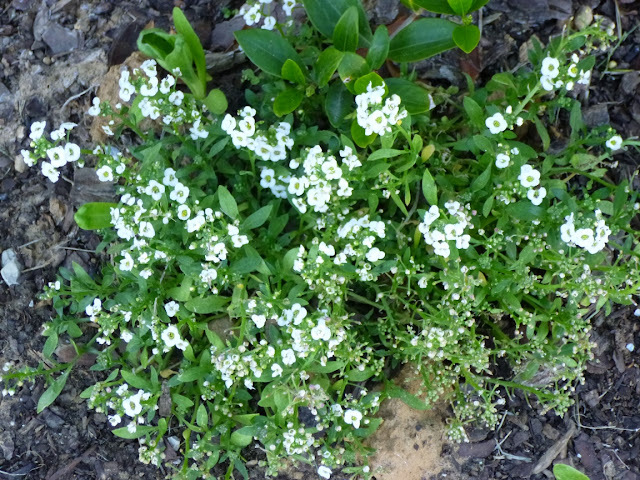 In 2011, I was pleased with the smattering of sweet alyssum I grew from seed. In 2012, I tried working with starter plants, but most of them croaked, so I decided that starting my own plants from seed was the way to go. So I ordered a gazillion seeds (I exaggerate slightly) from American Meadows and scattered them liberally along the borders of my garden beds. Many sprouted, but did not thrive. Those that sprouted and thrived (especially in morning sun, afternoon shade settings) quickly grew leggy and ugly, swamping nearby plants. Yes, the flowers are fragrant when massed. Yes, this is a fairly easy annual plant to grow in the right conditions, but the dead flower stems are ugly, persistent and a huge pain to remove. As I struggled to grub out Sweet Alyssum from the beds, I found myself wondering - "Why did I create all this work for myself?" I still don't have a good answer to that question. Well...except for the fact that Sweet Alyssum does attract hoverflies and parasitic wasps. That's a good thing, but not good enough to grow it again next year. And if I do have another fling with Sweet Alyssum, I can promise that it will be a single, small seed packet, sparsely scattered into a discrete corner, not flung about with wild abandon. I've learned my lesson. Really. 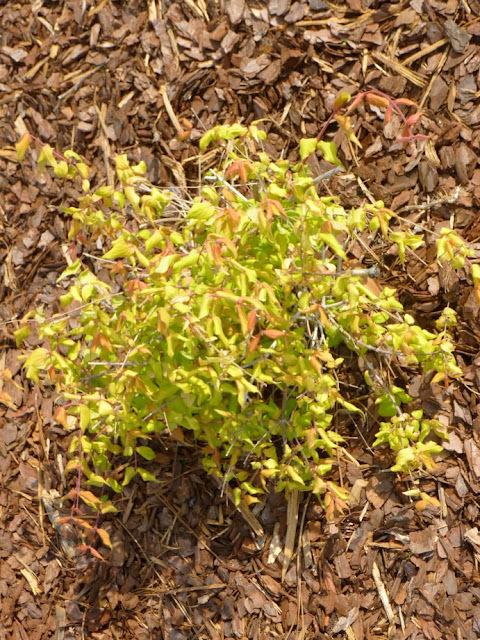 20) Lonicera periclymenum, European Honeysuckle, Woodbine - A variegated vine died in 2012 just months after it was planted. A variety called Serotina did survive and returned more strongly in 2013, but it did not perform to expectations. This deciduous woody plant sprawled perhaps 7-feet wide and produced pretty but very short-lived flowers. These were followed by a few red berries. It's not an awful plant, and it might get better in subsequent years. (I've pruned it way back, but haven't decided yet whether or not to shovel prune it.) But I much prefer the native climbing Lonicera sempervirens (Coral Honeysuckle) over the European Woodbine. 21) Monarda didyma, Bee Balm, "Jacob Cline" - Just a bit too vigorous for my tastes. 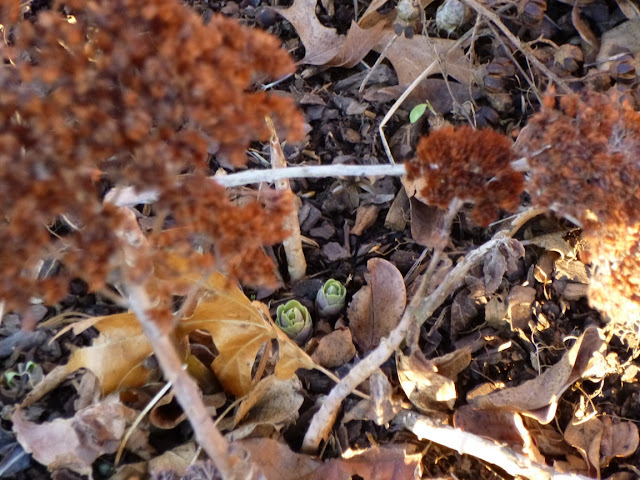 After only a few months, I saw Jacob Cline was spreading through underground stems and popping up throughout the bed. Well, I might have simply tried to control its spread if the flowers had been attractive, or if they had lived up to their reputation to attract bees, butterflies and hummingbirds. As it was, I never saw bees or butterflies on Jacob Cline and the hummers seemed far more interested in the Coral Honeysuckle (not to mention the Zinnias). So I went for a clean break (not that easy since the M. didyma stems tend to snap when you try to pull up the roots. 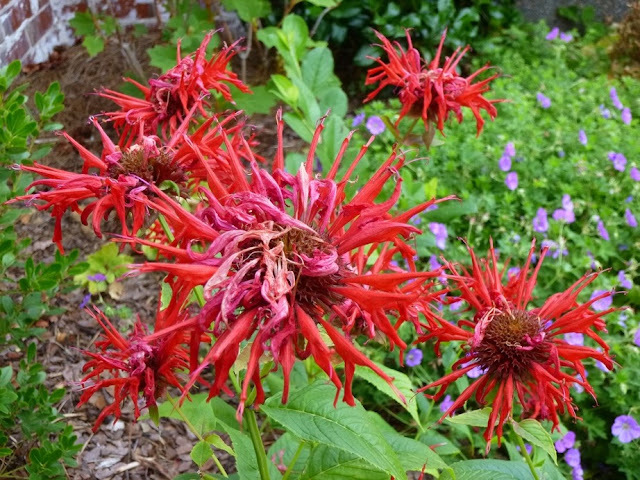 I'm still keeping my eye on a Monarda (M. fistulosa, a.k.a. Wild Bergamot), but I don't see any more M. didyma in my future. 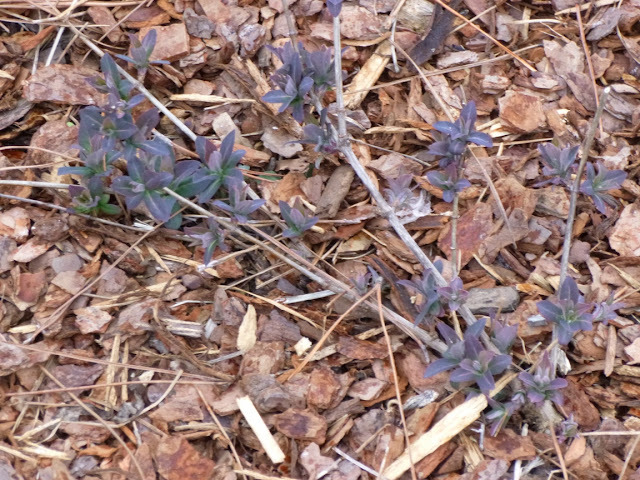 22) Salvia elegans, Pineapple Sage - Didn't live up to the hype. Officially only hardy to zone 8, Pineapple Sage survived the long (though not especially cold) winter of 2012-13. I doubt it will return after the below-zero cold temperatures during this 2013-14 winter. But I won't mourn its passing. Despite a reputation for attracting bees and hummingbirds, I never saw a single bee visit the late autumn flowers, and the hummingbirds didn't visit much either. (Perhaps because it bloomed so late in the season that most hummers had already begun migrating further South?) Leaves and flowers are both supposed to be edible, but I couldn't discern any pineapple flavor (or any flavor at all really) when I sampled one of the leaves. In drought conditions, S. elegans is one of the first plants in my garden to show distress, curling its leaves and generally looking miserable. It can survive a drought with some supplemental water, but it won't win any beauty contests in the process. 23) Salvia nemorosa, Woodland Sage -- I added two kinds of woodland sage to the garden in September 2012 - May Night and Blue Hill. Both plants performed tolerably in the first half of 2013. In June, I was able to post a picture of May Night in the midst of a mild rebloom. They both drew a couple of bees, but neither became the bee magnet I had envisioned. These plants are not what you would call "self-cleaning". 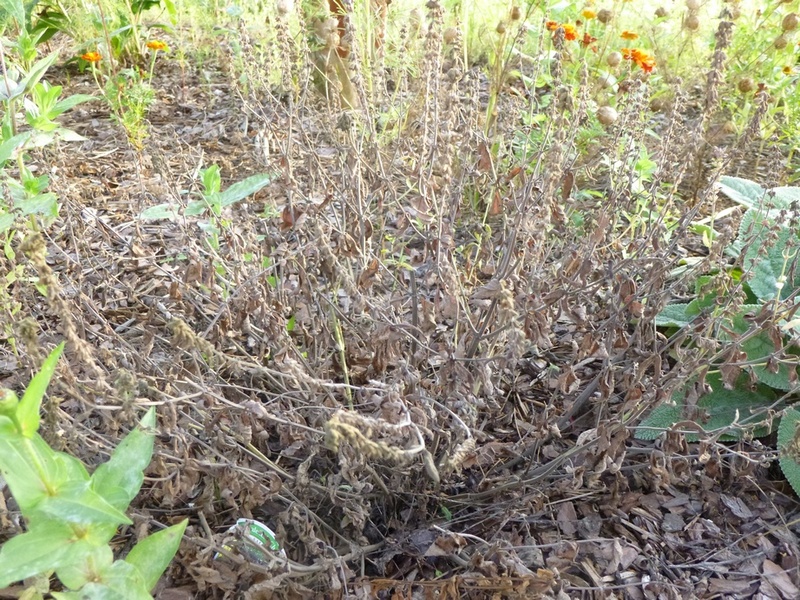 They need deadheading and trimming to look their best, but deadheading can be a chore when S. nemorosa's tough, wiry stems that fought back against the bypass pruner. 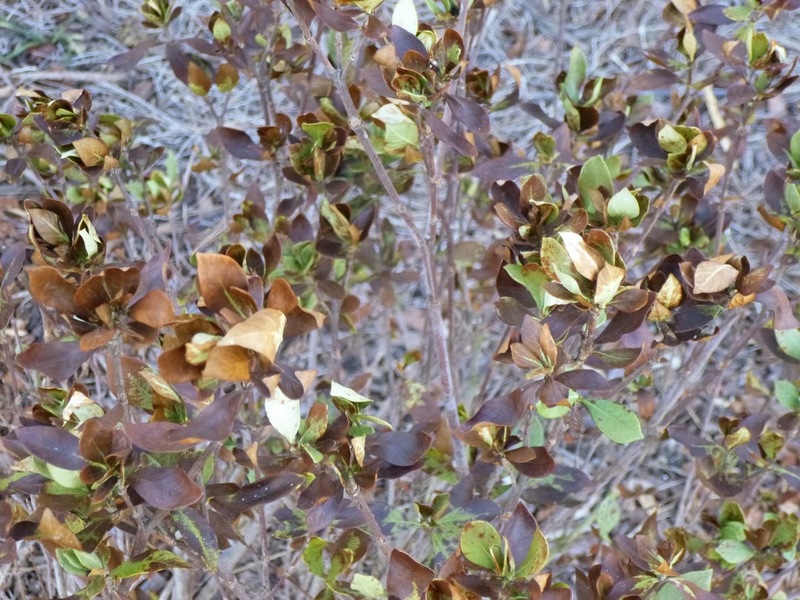 After the bloom is done, these plants are not particularly attractive and they look more and more ragged as the calendar turns toward autumn and winter. I haven't yet given up on the whole Salvia genus yet, but I think I've crossed S. nemorosa and S.elegans off my list. 24) Sarcococca confusa, Sweet Box - On paper, this looked like a winner. Evergreen? Check. 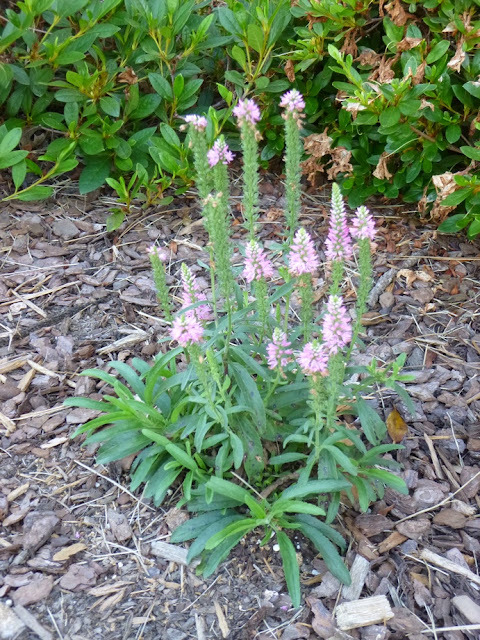 Drought-tolerant once established? Check. Fragrant winter flowers that reportedly attract bees? Double-check. And yet...the two plants that arrived via mail order in the spring of 2012 were tiny. One died due to the punishing double-whammy of summer drought and heat wave. The other struggled onward and put on a promising growth spurt in early 2013. I was sure that this year would be the year that S. confusa came into its own. 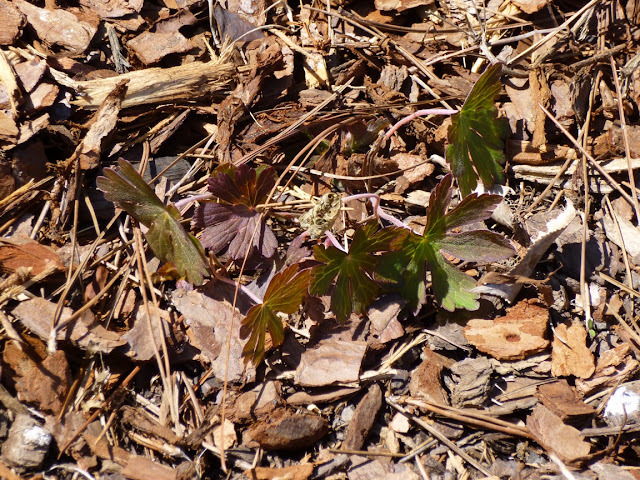 But the plant looks to have sustained serious foliage damage from the arctic blasts of the winter of 2013-14. It's a little strange, since Sweet Box is rated as hardy at least to zone 5, but I'm thinking that rating probably applies to a sheltered forest setting rather than an exposed foundation planting. I guess I should have paid more attention to the warning to shelter S. confusa from winter winds (which would have meant not buying it at all, since I don't really have any significant shelter to offer at this point in my hilltop garden). With snow cover or a properly wooded setting, I think S. confusa might be a nice, modest plant for most of the year with the added of bonus of winter fragrance (provided it's nice enough to outdoors and do a little sniffing). But I can't see adding it to any garden of mine in the near future. It also grew very slowly - which has advantages in terms of not needing much pruning, but disadvantages if starting with a small plant and hoping to have any sort of near-term significant impact. 25) Sedums - I hope that I won't have to surrender my gardening license, but I have to admit that I don't really like sedums much. And in the interest of reciprocity, I have to admit that they don't seem to like me much either! I've tried a few different types - Sedum spectabile (e.g., Autumn Joy, Autumn Fire and Vera Jameson), as well as Sedum tectractinum (Chinese Stonecrop) and Sedum ternatum (Whorled Stonecrop, a Tennessee native). None of them have wowed me. The spectabile sedums have proven particularly disappointing this year - weak, spindly, beset by aphids, hardly attracting any beneficial insects even when they deigned to flower. I'm sure I'm doing something wrong here, because I've seen flourishing stands of Autumn Joy sedum on a garden tour. I will say that Autumn Joy sedum is very easy to propagate simply by breaking off a stem, removing the bottom leaves and sticking the stem in the ground. But what's the point of propagating something you don't like very much? No point at all. 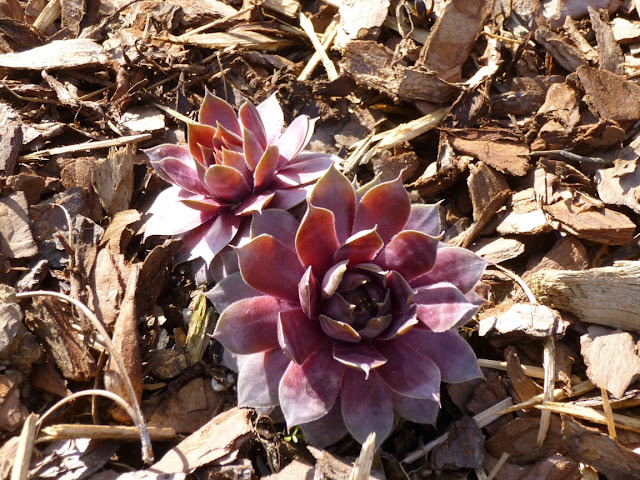 26) Sempervivum, Hens and Chicks, "Red Rubin" -- Simply failed to thrive. As a plant native to Northern Africa, Southern Europe and SW Asia, I'm guessing it did not appreciate our humidity or the heavy clay soil. It hasn't died a dramatic death, but rather seems to be subtly and quietly sinking into the background and being absorbed into the surrounding soil. 27) Tiarella cordifolia, Foamflower -- Somehow I overlooked the fact that these plants have low drought tolerance. Oops. Tennessee has frequent periods of drought, often coupled with high heat. I'm trying to grow a self-sufficient garden. Ergo, drought intolerant plants are doomed. 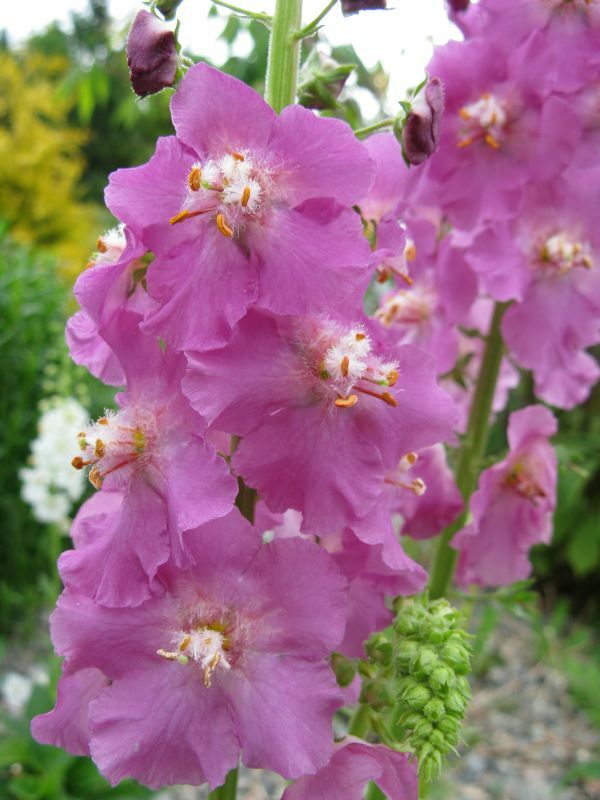 28) Verbascum phoeniceum, Mullein -- This was a funny one. I know I read somewhere that these plants will rebloom if the flower stalks are cut back. So I cut it back. Did it rebloom? It did not. Argh! In addition, while the flowers were supposed to attract bees, hoverflies and moths, I never saw any visiting pollinators. I do recall reading that these pollinators are supposed to visit early in the day. Maybe I needed to check the Mullein at the crack of dawn? If it returns this year, I'll try to remember to set my alarm to go out and scout the flowers for any early-rising pollinators. 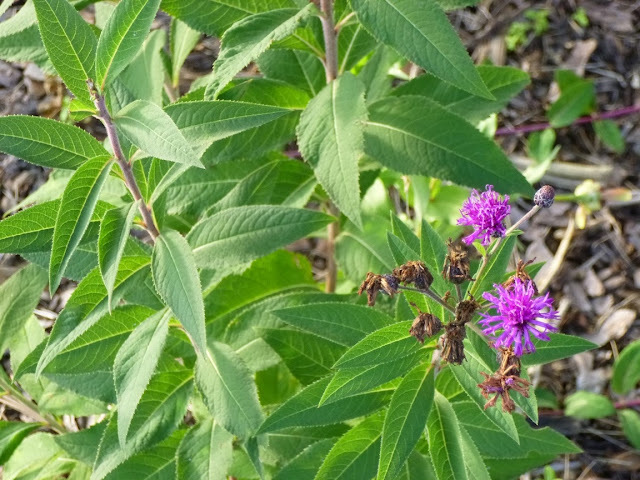 29) Vernonia noveboracensis, Ironweed - Native plant enthusiasts tend to sing Ironweed's praises to the heavens, so perhaps my expectations were overinflated when it came to this plant. Regardless, I thought the sprays of little purple flowers were pretty, but short-lived. And I never saw those flowers attract a single bee or butterfly. Now it's possible that Ironweed might attract such pollinators if I planted a whole patch of it, but I'm not about to do the experiment when I have other plants I'd rather trial instead. 30) Veronica spicata, Spike Speedwell, Giles van Hees variety -- Once again, this was a case of flowers that were reputed to attract bees and butterflies not living up to that claim. Lest you think that I live in bee or butterfly free zone, there were plenty of both in the garden last year working plants such as Hypericum, Vitex, Crape Myrtle, Zinnia, Cosmos and several varieties of Sunflower. But they bypassed the Spike Speedwell completely. In addition, the middle part of the plant seemed to die out by late summer, although sections of the plant at the edges were still throwing up long-lasting flower spikes into autumn. This is somewhat of a mixed verdict. I'd like to see how the plant performs in the year ahead -- or even if it comes back at all -- but at this point I greatly prefer the Creeping Speedwell (V. peduncularis) over the spike variety. 31) Zinnia haageana "Persian Carpet" -- Here's the backstory: I grow Zinnia elegans partly for its beautiful flowers and partly for its potent ability to attract butterflies to the garden. Powdery mildew is the scourge of my Z. elegans, often killing the plants mid-summer and rendering them fairly hideous-looking in the process. Z. haageana promised mildew resistance and it certainly seemed at least somewhat resistant, but it didn't really matter. The petite yellow flowers held little interest for the butterflies and the plants themselves were diminutive and not particularly attractive. So it's back to the drawing board. I'm taking a break from sowing Zinnia seeds in 2014 (although I may allow some self-sown zinnias to grow if any seeds survive this harsh winter), but I'll be trialing one or more of the supposedly mildew-resistant Zinnia elegans varieties - such as Benary's Giant Purple - in 2015. Thus ends a long and somewhat embarrassing role call. And yet, I am not (too) discouraged. 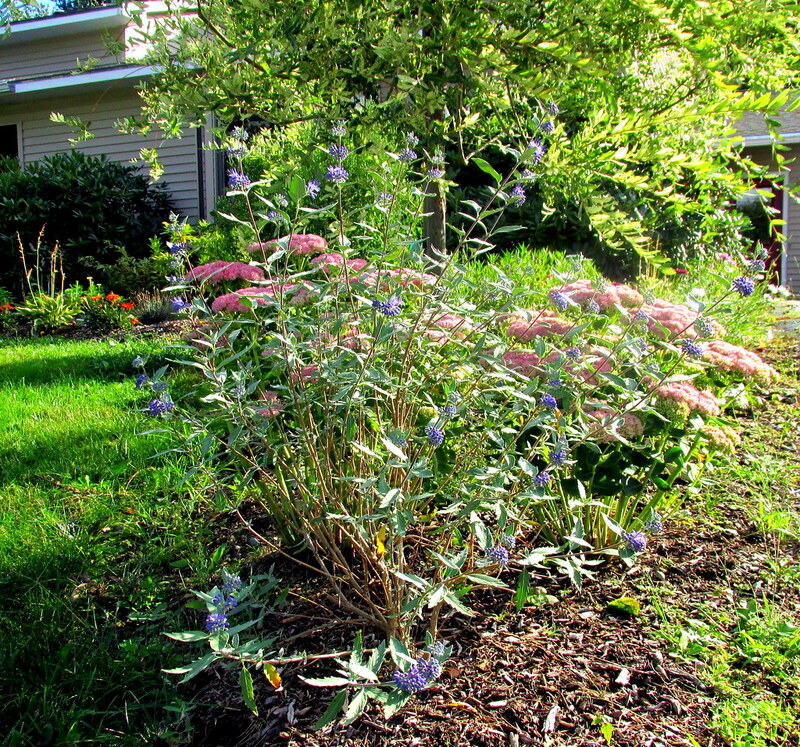 This is a challenging environment for plants in many ways - the heat, cold, droughts, wind, heavy clay soil - not to mention a cold-hearted gardener who insists they get by on their own without too much coddling, fertilizing, watering, spraying or other interventions. And I know that sooner or later, I'll winnow down the possibilities to find plants that were meant for me, plants with which I can build a long and fruitful relationship.